I kept talking about different kinds of whitening and hydrating products for the past month. That's because during the summer time, these 2 products became increasingly popular!! so.... should you use it day? or night? well... you need to use it BOTH day AND night!! In the morning, whitening products help protect your skin from getting a tan and preventing UV rays from harming your skin. In the night time, whitening products help repair your skin. so.... can I just use 1 whitening product to achieve the whitening effect?? Other products such as whitening face wash, toner, eye cream are just secondary whitening products that doesn't do any or much whitening to your skin. However, when using whitening products during the day, YOU MUST USE A SUNSCREEN! The toner is contained in a light blue, heavy glass bottle. Texture is thick, like a water gel and has excellent hydration effects!! If you pour the toner onto a cotton pad and rub it on your skin, it'll take off dead skin cells and improve skin discoloration. 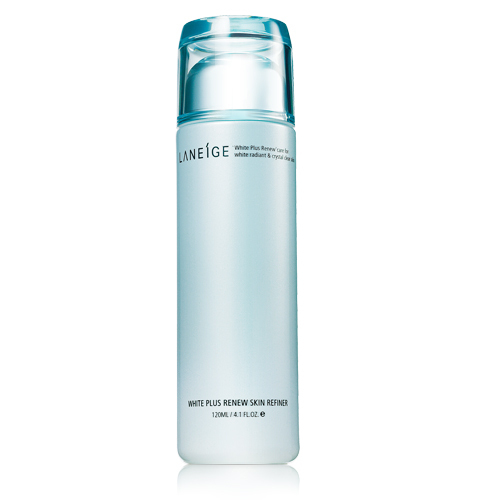 Amino-acid peeling ingredients remove makeup residue and impurities. Best suitable for people who live in a cold area (such as North America) or work in an air-conditioning environment.